Juliana is a trusted name for greenhouses. If you're looking to venture into your first greenhouse, this is a great candidate. 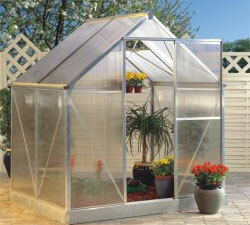 For the price we still recommend the Brighton Hybrid Greenhouse, our number one choice. Size & Dimensions: 6'6" W x 5'0" L x 6'6"
6'6" W x 9'9" L x 6'6"